I was not surprised because I had forgotten the popularity of the question, nor was it because I struggled with the answer. The reason it surprised me was because it has been the hallmark of non-Catholic Christian apologetics and debate for decades, and I had assumed it would eventually go out of style. Don’t get me wrong, I can see it being an essential question posed to atheists, agnostics and other non-Christians, but not between Christians. I’d venture to guess that more than half of Evangelicals and other “Bible Christians” have posed that question to another Christian at least once in their lives. The popularity of the question and its refusal to take its proper place in the ancient history of Christian apologetics, points to at least three potential causes. 1. Non-Catholics are predominately unable to comprehend the Catholic teaching on salvation. 2. Non-Catholics struggle to come up with new material. 3. Catholics are doing a very poor job of answering the question. My concern is that the biggest reason is #3. 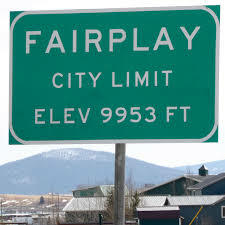 When my oldest sister moved to Fairplay, Colo., in the 1980s, my dad had some fun with the unique name of her new hometown. We lived in Wahoo, so it was natural to pay attention when another uniquely named village or town popped up on our radar. My dad would frequently say, “turnabout is fair play,” when my sister’s new domicile was mentioned in conversation. First, you should always respond with a smile and borrow Steve Ray’s line (he won’t mind), “Absolutely. I’m saved the Bible way.” At that point you could clarify that you have been saved, you are saved and you hope to be saved, which is a thumbnail sketch of the Catholic teaching on the human state of salvation. But to most non-Catholic Christians, this is at worst, a draw–not a meaningful discussion of the theological truths of salvation. Possible non-Catholic Response “A”: What do you mean, “the Bible way”? You can then walk through the Scriptures that show the need for the four things that are necessary for eternal salvation: repentance, faith in Jesus, baptism by water and the spirit, and perseverance. These are illustrated in Luke 5:32, John 12:44-46, Matthew 28:19 and Matthew 24:13. These are not the only Bible verses that support these three essentials, but these will get you and your friend started. 1. Justification – Being made righteous by our baptism. In baptism, you are adopted into the Body of Christ, purified, justified and sanctified. Baptism forgives all your sin as well as the punishment of sin, including original sin and all of your personal sins committed up to the moment of your baptism. (CCC 1227, 1263 and 1267) Sins you commit after baptism may prevent you from bearing the fruits from the grace you received in your baptism, but it cannot erase the permanent mark of baptism from your soul, meaning that you remain a child of God for all of eternity. (CCC 1272, Matt 28:19, Acts 2:38 and 1 Peter 3:21) Unfortunately, even children of God can lose their salvation and end up in Hell if they fail to live their faith after baptism (Galatians 5:4). 2. Sanctification – Our lifelong walk of discipleship through which we strive to grow in virtue and are “made holy,” which can also be understood as our growth in the righteousness we received in our baptism. 3. Salvation – Our particular judgment after we have died in a state of grace. This is known as eternal salvation, as opposed to eternal damnation. Only upon our death is our salvation permanent. Many non-Catholic Christians understand salvation to be a one-time event. They also believe it to be a permanent condition, meaning that they believe it can never be lost or thrown away. This is a belief called “Once Saved, Always Saved.” I discuss this further below, so we’ll get to a way to handle that shortly. Many non-Catholic Christians also define words like justification, sanctification and salvation a little differently than the Church does. This can lead to some confusion in discussions like this, so you should be ready to ask your friend what he means by some of these terms when the conversation gets confusing, or seems to be headed toward confusion. When you do this, you will probably see how he is defining the words, and you can see if there is a way to both understand each other and to more effectively describe things in order to continue the conversation without it all unraveling. Your response should be: “Excellent! You are off to a great start. And I hope that is all you need to do to be saved because that is included in the Catholic teaching on salvation too. So if you are right, we are both going to Heaven.” This is another great time to smile and pause for a moment to let it sink in. But your response is not going to sit well with most non-Catholics who have challenged you with the “are you saved” question. When you respond this way, they will begin to rattle off a number of old canards that have been taught to non-Catholics for centuries. But don’t let that get you off track. Stay on topic and offer the second statement you will need to Response “B”. “So maybe the real question is not, ‘are you saved’, or even, ‘are you STILL saved,’ but, ‘how can you tell if you are saved?’ Here is how a Catholic can have moral certitude that he or she is saved. First, we see if we have followed the biblical plan for salvation, such as repentance, belief, baptism and perseverance. If we are, we are covering the bare minimum. Then we examine our conscience on a regular basis to determine if we have committed a deadly (known as mortal) sin. As you know, not all sin is deadly (1 John 5:16-17). If we have not committed any mortal sins, we are still in a state of grace and must look at our life to see if we are using the gift of our baptismal and sacramental grace to glorify God and to build God’s kingdom on earth. But don’t stop there. Point out the danger of believing the formulas for salvation developed by the non-Catholic religions. “My concern is that you may only be ‘almost saved,’ which means that you are not saved. I say this because you have not even been baptized as the Bible teaches. And even if you have been baptized, you have been led to believe that you cannot lose your salvation. Therefore, you may have committed a deadly sin which has remained unforgiven, or you may have failed to live your faith as described by Christ in Matthew 7:24-27. After that type of a statement, it is time to pose a question to your friend. To this question, your friend can only respond with one answer if he is being honest, and that answer is “yes.” He has to admit that ignoring or discounting parts of Scripture is a dangerous game. It is potentially a deadly game when it comes to the ultimate question of our eternal existence. With any response offered by your friend, either to your original reply or to any subsequent part of your conversation, the discussion can go anywhere. The key to all of it is to remember that you are merely planting seeds, promoting thought and offering the Catholic perspective to your friend and anyone else who may be paying attention to the discussion. Your friend probably won’t ask for the nearest RCIA class at the end of the discussion, nor will he announce an epiphany and run off to be baptized. He may forget most of what you said within minutes of walking away from the conversation. All of this is okay because you can’t make someone believe. Evangelization and, ultimately, conversion is the work of the Holy Spirit. If you cooperate with the Spirit, you are simply serving as a conduit. If a seed is meant to be planted and then grow into a conversion, only you can keep that from happening. You can be an obstruction by avoiding the opportunity to discuss your faith in the first place, and you can frustrate the work of the Holy Spirit by overemphasizing your role in the process if you do find yourself in such a discussion. Even though this article could slowly chip away at the third potential reason that non-Catholics continue to pose this question to Catholics, and thereby reduce our opportunity to educate non-Catholics on Scripture and the wisdom of the teachings of the Catholic Church, I anticipate we will still be offered this question for many years to come. That is a good thing. My advice is that you give this approach a shot. It works best if you were not the one to broach the subject, and you should always remain humble, courteous and charitable during the discussion.